sticks There are 6 products. The brightest flowerstick in the world! 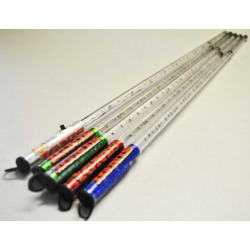 Thanks to state-of-the-art components, we can offer you a unique lighting flowerstick with remote control. Do not be late and show how you can spin it. 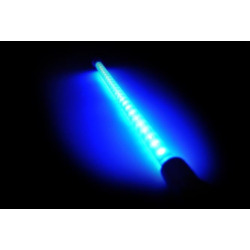 Professional glowing wand for those who want to take a shot. So what are you waiting for? Unique pixel levistick which they playfully draw a variety of images, logos or letters is finally here! 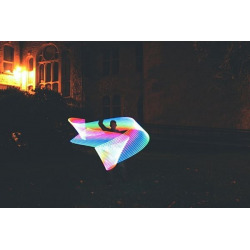 The latest technology along with your dance will open mouths wide across your audience. 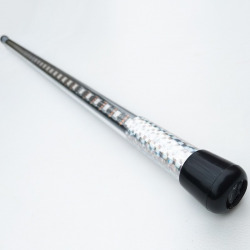 This levitation stick, or flow wand, can really conjure up various pictures, which you can simple upload via our program. 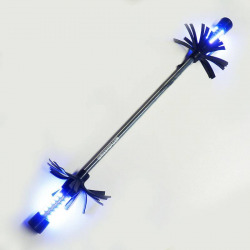 Special levistick with digital technology with up to 300 different modes that make the amazing effect during manipulation. 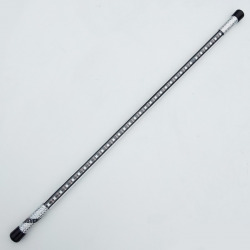 Levistick is designed as a contact, mainly due to its size and weight. This is not a programmable levistick depicting images! 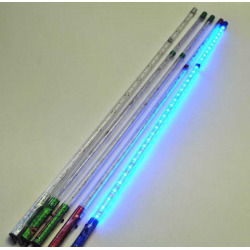 LED Flowerstick High luminous flowerstick for technical tricks in the possible design 4 colors (white, red, blue, green) - write notes. Silicone surface is not only for better distributes light but also holds perfectly on poles and thus handling becomes very simple. 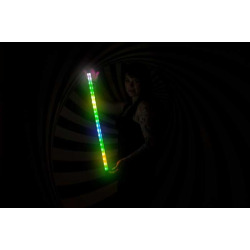 LED Levistick Get the audience with perfect manipulation with illuminating stick in the form of levistick. With an invisible fishing line you show incomprehensible levitation, you can better enrich the dance. Please note that Flow Wand is learned to easy manipulate even though it can handle a variety of crashes, is not unbreakable! Do you have account with us? Did you know that you can get a 10% discount on whole purchase? Just send out the invitations and get a discount for you and your buddy! For more information, please log in to your account! Share our product and get 5$ or 4€ discount! !